Answer quiz questions to advance from Kindergarten to the head of the class! Compete on your level. 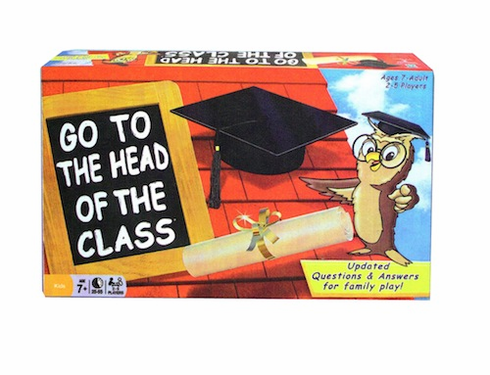 Contains gameboard, 20-page quiz book including instructions, 6 playing pieces and 3 dice. Ages 7 and up.